I’ve been struggling with how to start this review. I enjoyed this book so much that when I try to think of words to describe it, I can’t. It got my heart racing in the best way. The book starts up with Charlie adjusting to being queen. There are protocols and rules and knowledge she must learn right away. There are people who don’t like the New Equality and want the old class system back. They aren’t afraid to make that abundantly clear. She is summoned to a meeting of all the queens and on her way there, her life is at risk. A lot of this novel is a mental battle. There really aren’t any big fight scenes in the action sense, but there is a major battle going on. Charlie is fighting everything in order to remain the same person. She’s fighting Sabara’s essence as she tries to take over Charlie’s body. She’s fighting those that oppose her New Equality changes. She’s fighting the doubts everyone, including her, has about her rule at the moment. Charlie is not weak. She fights with all she has to make things right for her people. She stands up to people when she’s fighting for something. She knows she must fight to keep Sabara hidden deep inside her mind, where she can’t control Charlie. The few times Sabara was able to take control were Charlie’s moments of weakness. There’s not as much Max in this book, but when he’s there, he’s amazing. He doesn’t try to control Charlie. He lets her be queen. He just does whatever he can to love her and make her safe. Derting made sure that even though there wasn’t a lot of Max, the times he was there were perfect. The ending was a perfect way to wrap up the second book while laying the foundation for the third. There’s enough closure to make people happy, but there’s a lot left hanging that needs to be sorted out. I’m on edge with anticipation and can’t wait for the conclusion of this fantastic series. 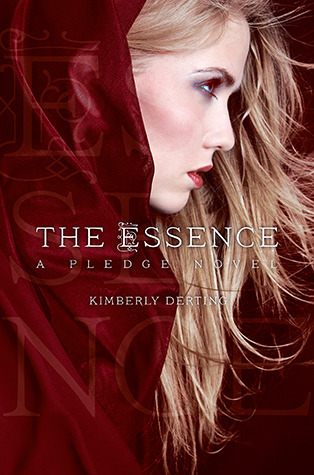 This entry was posted in Dystopia or Post-Apocalyptic, Something a Little Different, The Must Reads, Young (and New) Adult and tagged Dystopia/Post Apocalyptic, Fantasy, Kimberly Derting, Must-Reads, Seriously...You Must Read This, Young Adult.